Sign a Lease for Fall 2019 & Receive Waived Admin Fee! Move in by April 30th & Receive $300 off 1st Months Rent! Valid Till : Apr 30, 2019 Contact Office for More Details! 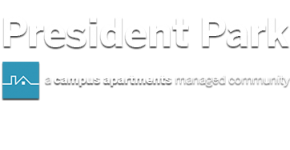 Welcome to our detailed President Park Apartments floor plans page! Because we know what you'll count on as a graduate student at Emory, we've brought together the best in tailored comfort and thoughtful design. Whether you want a one, two, or three bedroom apartment, you'll be able to find the floor plan that's perfect for your day-to-day needs. From the moment you move in, you'll be able to take advantage of open living space and comfortable master suites. And while Emory University is only a short walk away, a shuttle leaves every fifteen minutes whenever you're in a hurry. Off-campus living has never been so convenient and easy. Once you've found the floor plan that's right for you, stop by today to set up an in-depth tour!